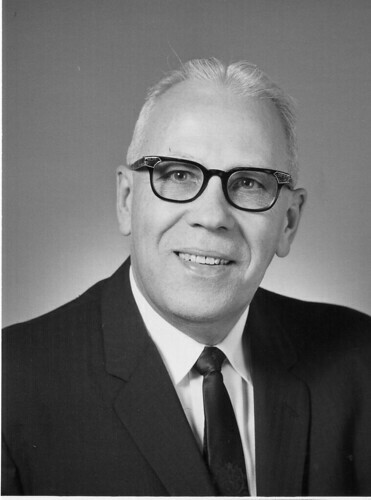 Cyril Eicher had a deep connection to the Fort Wayne campus most of his life. His family, serving in India when he was born, moved to Fort Wayne during his teen years. 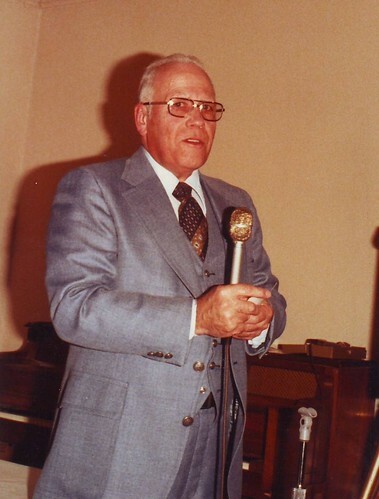 His father, Peter (Bethany Bible Training School-1895), returned to the Fort Wayne Bible Training School to serve in many roles. 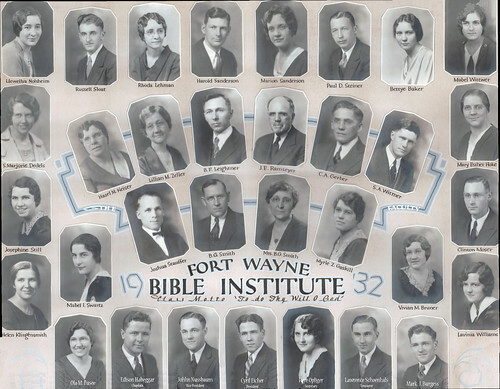 Cyril graduated from Fort Wayne Bible Institute in 1932. 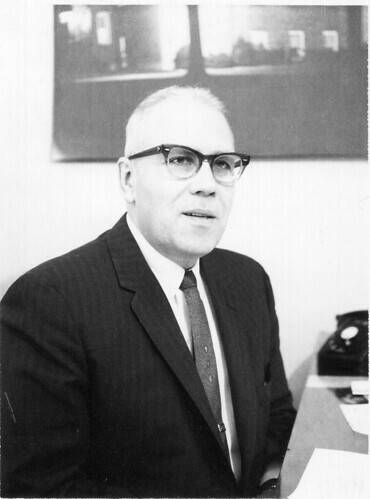 He went on to serve as pastor of several Missionary Churches as well as pursue further higher education. 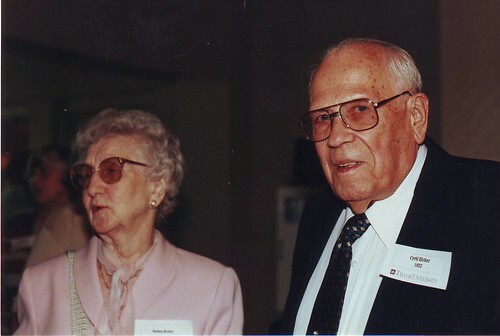 In 1950 Cyril and his wife Mildred (Neuenschwander) and their two sons, Larry and Wendell, moved back to Fort Wayne where Cyril started work at Fort Wayne Bible College as Assistant Treasurer and instructor. His work at the Bible College spans over 30 years, but he is perhaps best known in his position as Dean of Students. Mildred passed away in 1995. In 1996, Cyril married Donna Lutton. They attended many campus and alumni event. Donna passed away in 2007. 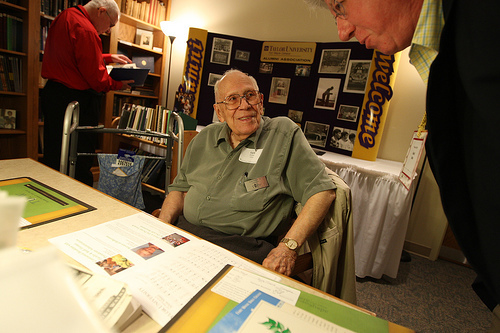 Since his retirement, Cyril continued faithful service to the Fort Wayne campus, giving of his time and financial resources, as well as serving on the FW Alumni Council and in the Fort Wayne Alumni Archives. 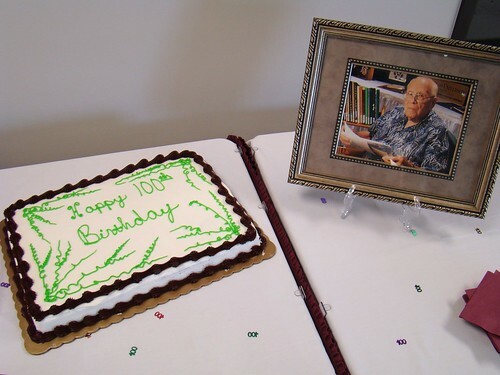 The Alumni Center assisted the Eicher family in celebrating Cyril's 100th birthday on March 17, 2012. 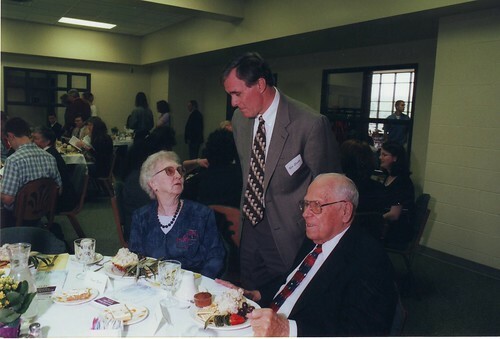 Cyril Eicher first came to Fort Wayne Bible Training School in 1924 when his father, Peter g1905, was appointed Business Manager for the school. Two years after graduation from South Side High School, he enrolled in Fort Wayne Bible Institute, completing the two year diploma program. 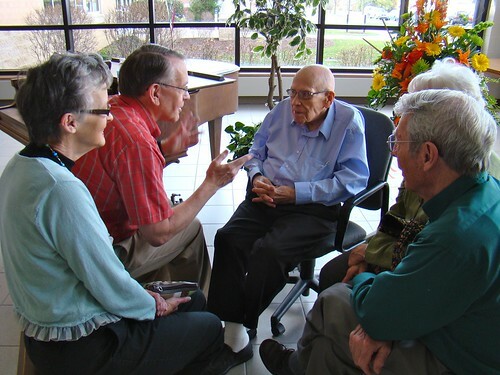 After graduation, he entered the pastoral ministry. From 1932 to 1950 Cyril pastored several churches in Fort Wayne, Cleveland and Detroit, and pursued more education. 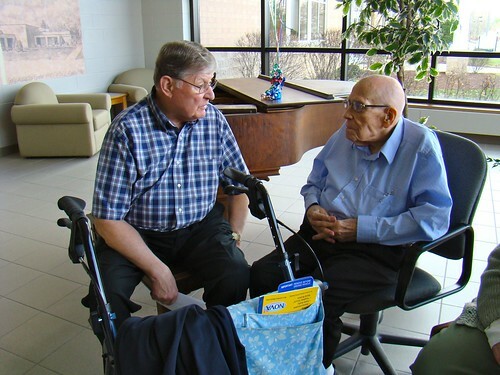 In 1950 he was invited to join the staff of Fort Wayne Bible College to assist his father, P. L. Eicher, in the business office as Assistant Treasurer and to teach in the area of pastoral ministry and sociology. 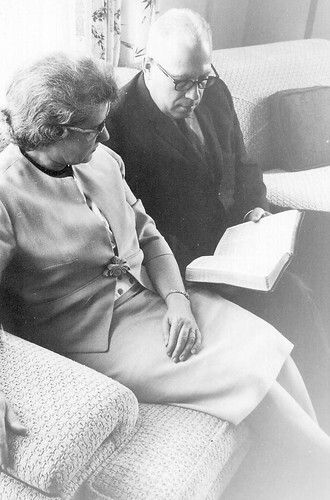 In 1952 he was appointed Director of Christian Service activities. 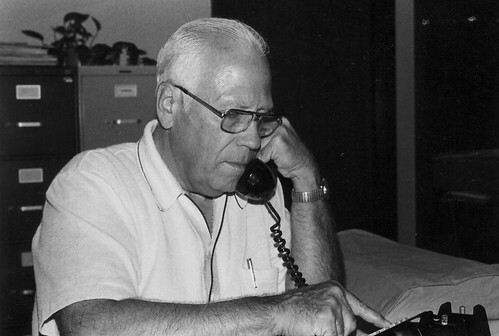 In 1955 he was named Dean of Students and established an unequaled endurance record by fulilling the arduous responsibilities of that office for 15 years. 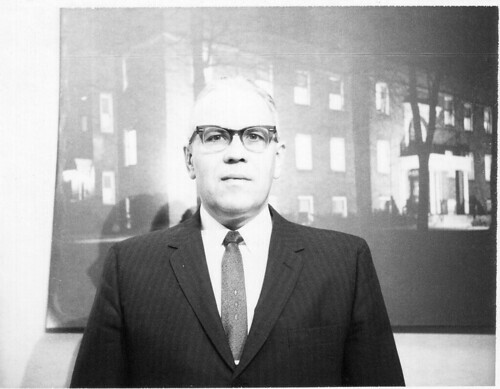 In 1970 he accepted the challenge of becoming the first full-time director of the Deprartment of Correspondence Studies. 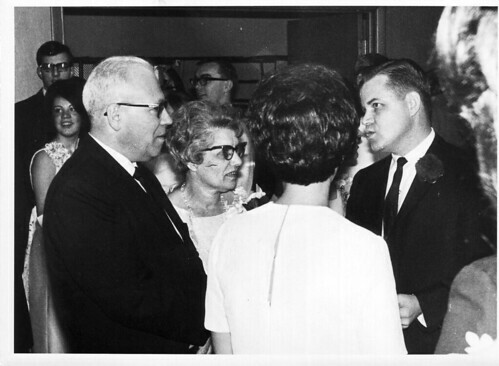 Mr. Eicher supervised the acquisition of a program of correspondence studies from Judson College to supplement the modest offerings already available. 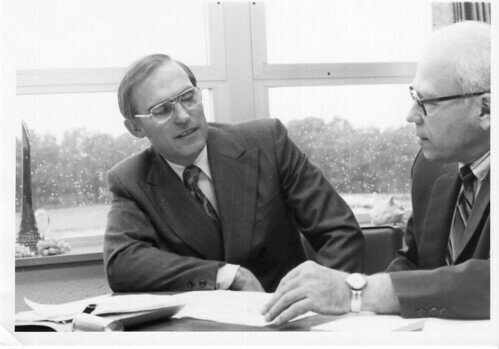 By the time of his retirement in 1978 he saw the correspondence enrollment grow from 538 to more than 2000. After retirement, he served as a fculty grader for several years. He was married to another Fort Wayne Bible Institute graduate, Mildred Neuenschwander, and has two sons, Larry g61 and Wendell fs61. Rev. 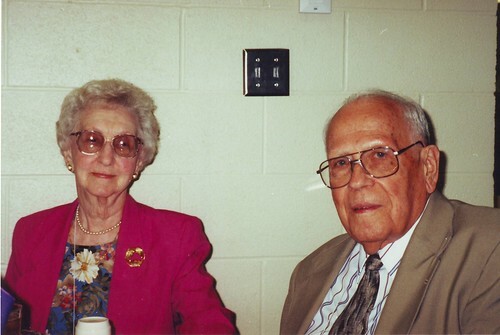 Cyril H. Eicher, 100, passed away Friday, January 18, 2013 in Mooresville, IN. 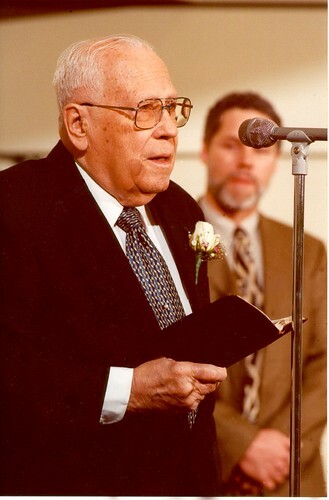 Born in Akola, Maharashtra, India, Cyril was the founding pastor at North Side Missionary Church of Fort Wayne serving there from 1932 to 1941. 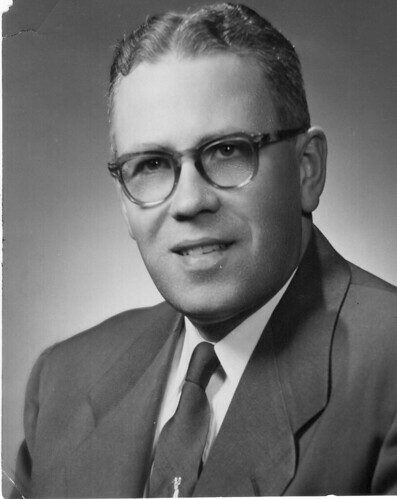 He also served at First Missionary Chruch, Cleveland, OH from 1941 to 1946; Eastlawn Missionary Church, Detroit, MI from 1946 to 1950, and was professor and administrator at Fort Wayne Bible College for 28 years. 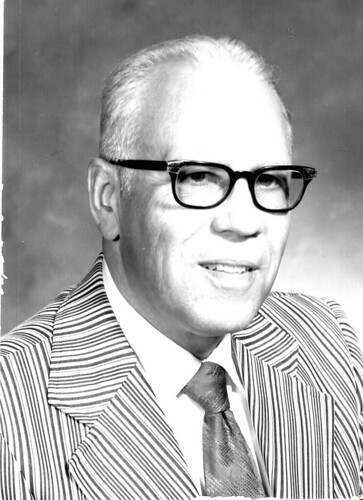 He also served part-time on the pastoral staff at First Missionary Church of Fort Wayne. 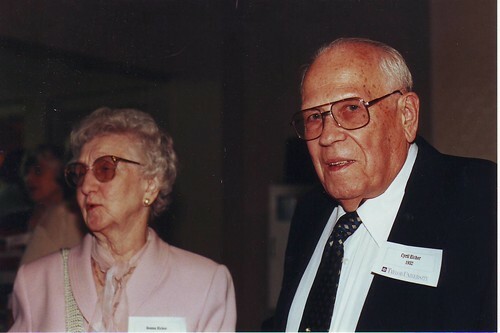 Surviving are his sons, Larry (Marge) Eicher of Morresville, IN; and Dr. Wendell (Pat) Eicher of Bethlehem, PA; eight grandchildren, and 13 great-grandchildren. 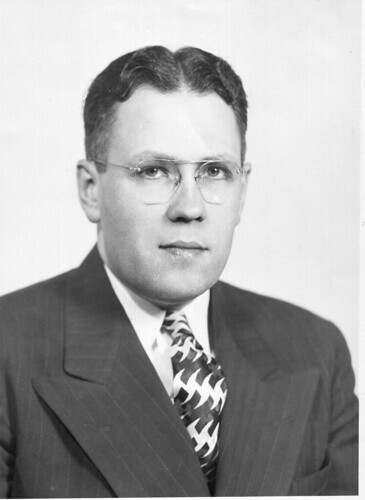 He was preceded in death by his first wife, Mildred Eicher; second wife, Donna Eicher; sister, Mildred Gerig, and brother, Wilbur Eicher. 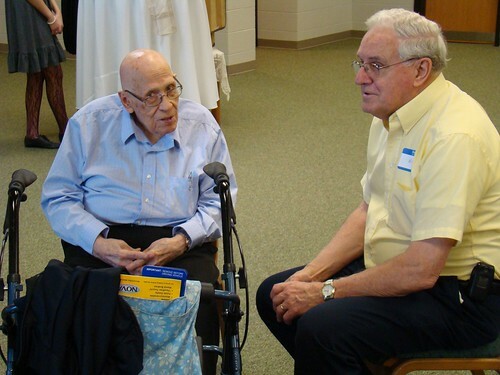 Uncle Cyril was a wonderful example of a dedicated and loving servant of the Lord. He was a faithful, caring husband, father and grandfather. I know Cyril as a classmates' grandpa and a man that loves the Bible College. Cyril has always been so gracious, kind and committed to the family of FWBC. What a legacy of faith and commitment he gives to all who know him.